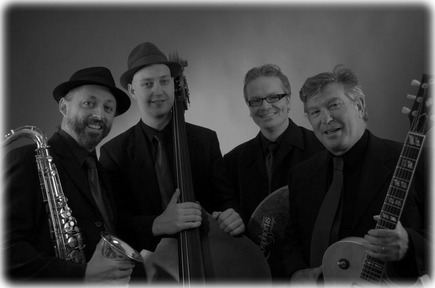 The jazz quartet is perfect for wedding receptions, corporate events, parties and functions. The band can also be expanded to a quintet and include an extra horn. The jazz quartet plays a huge selection of jazz, latin, blues and jive. Background dinner music to upbeat dance tunes. Memorable songs from artists including Frank Sinatra, Chet Baker, Louis Armstrong, Antonio Carlos Jobim, Michael Buble, Harry Connick Jnr, Georgie Fame, etc.